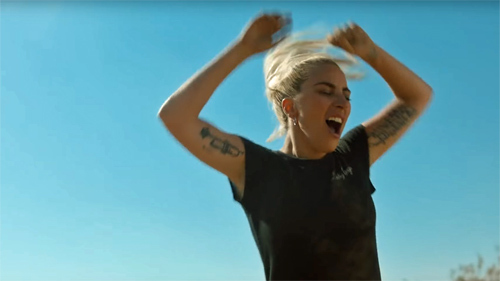 People who found Lady Gaga's comeback single Perfect Illusion off-puttingly histrionic aren't going to be won over by the video. Billed as a simple performance clip, it's frenetically edited (there are 45 cuts in the first minute alone) with Gaga on full throttle "asylum escapee" mode from the outset. I still like the song, though, which is a rush of fresh air amidst all the carefully-controlled, expertly-positioned indentipop of the last 12 months. The hook is solid gold, no matter what your opinion of the delivery mechanism. 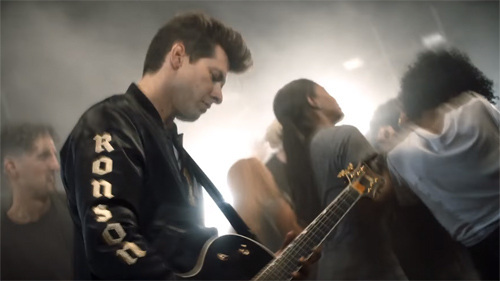 In related news, I would like one of Mark Ronson's jackets, but with "Savage" written on the sleeve.